Amba+ 4K Media Server Fly Pack. 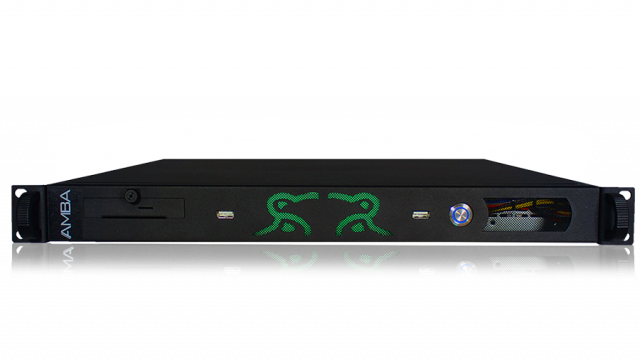 A compact and powerful 1U media server with 2 3GSDI live inputs. NewTek NDI Media Ready! 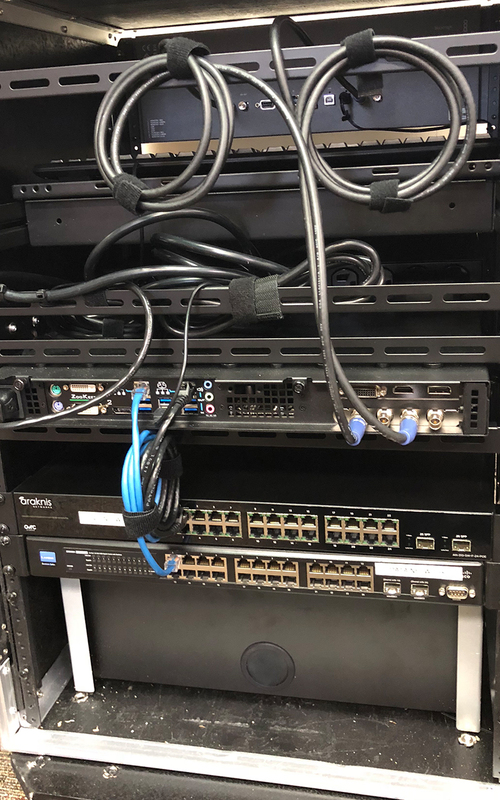 Two 1 GigaByte Network Switches. One network switch is dedicated for data transfer between devices and one network switch with full 24 port PoE+ dedicated for NDI devices. Wireless network AP for remote access and IP assigments. One 22 inch Planar monitor for Zookeeper control. Three codecs are available in Media Manager’s Encoding settings to ensure that your media is played instantly, smoothly and accurately. A media server is only as good as its codec. Hippotizer offers a suite of codecs to ensure the requirements of even the most demanding project are met. For the highest resolutions and layer counts, there is FlexRes Performance; based around the popular HAP GPU accelerated compression, this offers huge playback capability with decent image quality. Where better quality is important however, Hippotizer offers FlexRes Quality. Supporting 4:4:4 colour and near-perfect compression, FlexRes Quality brings a balance of quality and performance to Hippotizer. Where any compression is too much, FlexRes Lossless comes to the fore, playing the media exactly as it was delivered. All three FlexRes codecs support Alpha transparency. FlexRes files can be transcoded to from many popular files by any Hippotizer, or rendered to directly from free PC based Plugins. FlexRes Performance supports direct conversion from QuickTime HAP files. Pixelmapper brings the creative world of video to lighting fixtures. Massive output capacity coupled with an easy to use visual interface and live streaming previews makes Hippotizer’s Pixelmapper a powerful visual tool. Supporting additive (RGB) and subtractive (CMY) colour systems as well as intensity only, Pixelmapper can show video across the entire lighting rig from a single map. Thanks to the streaming ACN (sACN) protocol and unicast Art-net 3 integration it is possible to drive hundreds of universes from a single server. Featuring an intuitive drag and drop universe patch system with node auto-discovery, the often difficult job of setting up the Art-net output is easy. Map creation tools such as a fixture based layout and .csv import simplify making and editing pixelmaps. Simply select a new clip from the ZooKeeper interface or with an external controller for example, and it plays instantly. There is no need to create a timeline. Hippotizer V4 is made of three pieces; the Hippotizer V4 software, the purpose built hardware, and the people who use and support it. 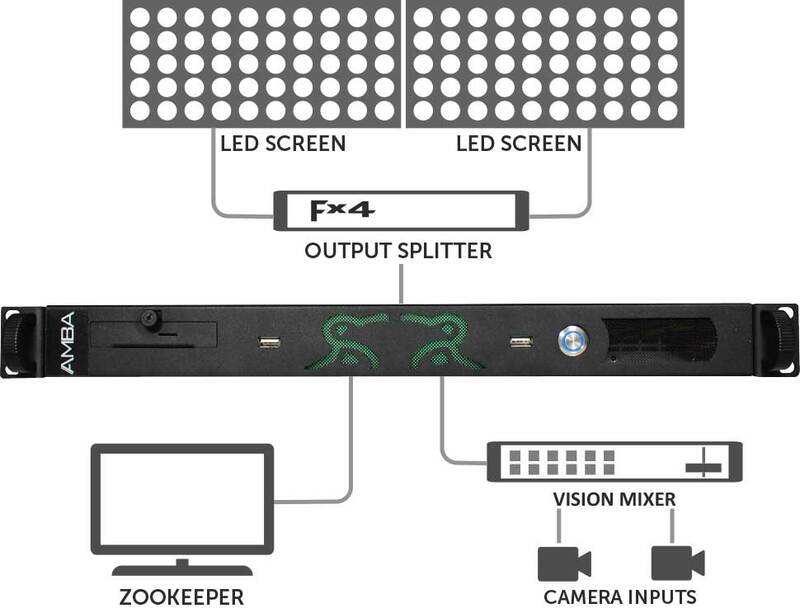 Each Hippotizer runs mixes, or groups of media layers, which are assigned to all or part of a video output. This offers intuitive support for splitters (such as the DataPath X4) as each output of the splitter can either be a unique mix, or in the case of a projector blend, part of a larger mix. Multiple mixes can also be sent to a single output for an output preview. Finally, mixes can be relayed to each other to create sub-mixes for A/B Crossfading for example. 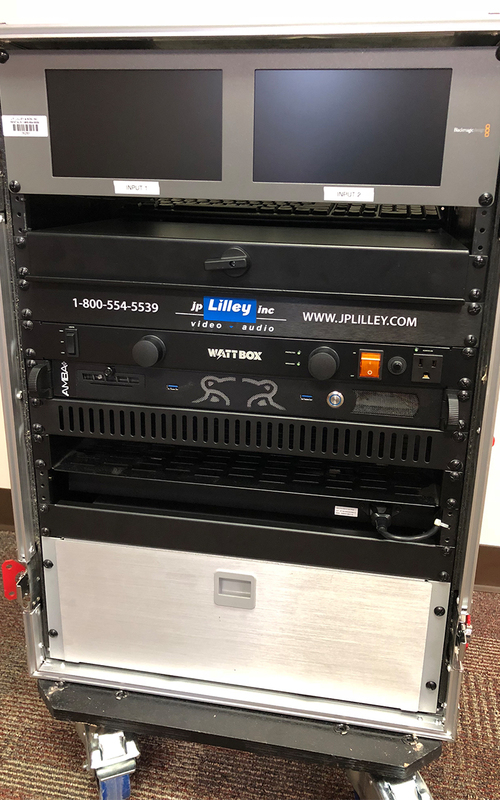 All Hippotizer products include an easy to use, feature-rich media management system that allows the user to manage their content locally or remotely. With support for all popular industry media formats, the MediaManager provides an intuitive interface between the content creator and the playback system, converting any files to the optimal internal playback format automatically. Furthermore, it gives the user detailed control over encoding parameters, bandwidth and colour space to ensure smooth, high-quality playback. A flexible media-mapping system allows swift organisation of extensive libraries into banks or bins all using an intuitive drag and drop interface. The optional Remote Media Upload module allows the creation of a “Watchfolder”: a location on a network where media can be uploaded. This allows the system to be fully automated and content creation teams can generate images or video files which will then automatically appear on the playback device. If linked to a cloud based system (i.e. dropbox) this can also be done from a completely remote location.